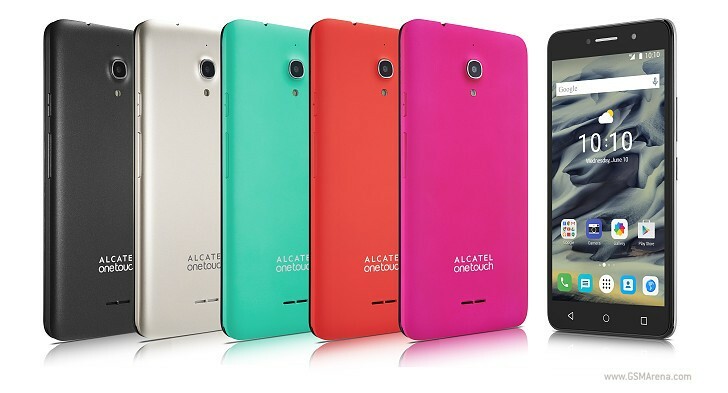 Alcatel is bringing five new mobile devices to this year's CES - two smartphones, a phablet, and two tablets. They will be available for checkup on January 6 in Las Vegas for anyone who's interested. 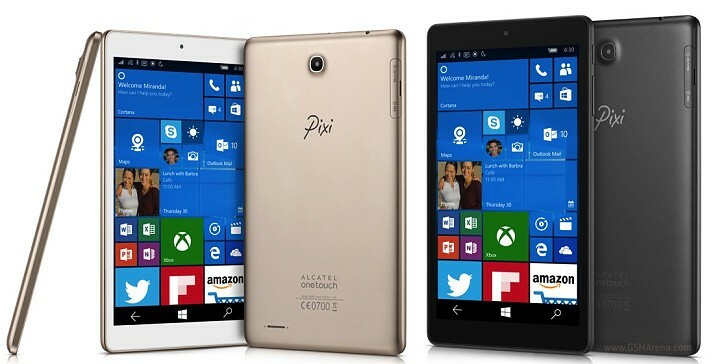 The Alcatel Pixi 3 (8) is an 8" slate running on the latest Windows 10 Mobile. It packs an IPS display of 1280 x 800 pixels, and is powered by the Snapdragon 210 chip with a quad-core 1.3GHz processor, Adreno 304 GPU, and 1GB of RAM. 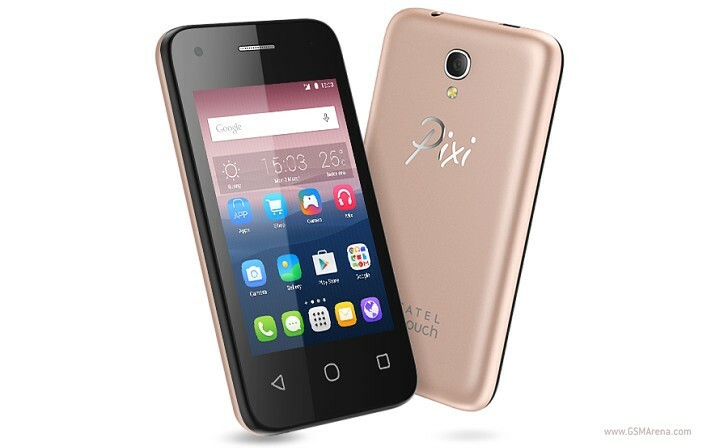 The Pixi 3 (8) supports SIM cards and can tap into GSM, 3G, and 4G LTE networks. The rest of the specs include 32GB expandable storage, a 5MP rear and a 2MP front camera, and a 4,060 mAh battery. 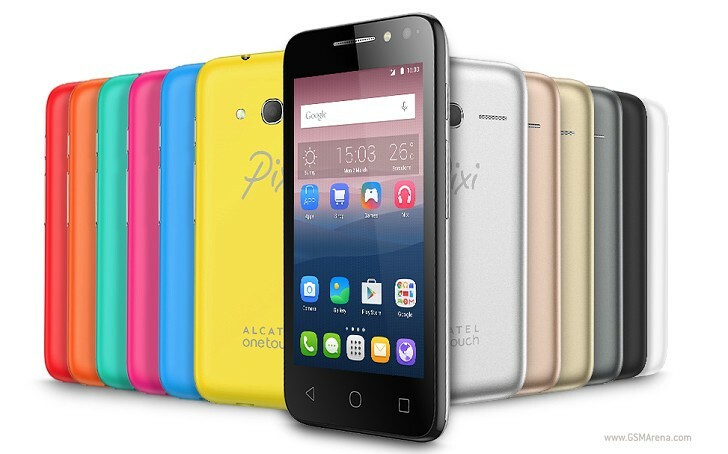 Alcatel Pixi 4 (3.5) is the smallest of the new Pixi 4 series - it's a smartphone with a 3.5" HVGA display. The little fella runs on a MT6572M chip with a dual-core 1.1GHz Cortex-A7 processor with 512MB RAM, packs a 2MP rear and a 0.3MP front snapper, and there is 4GB expandable storage. Android 5.1 Lollipop is in charge of the Pixi 4 (3.5). 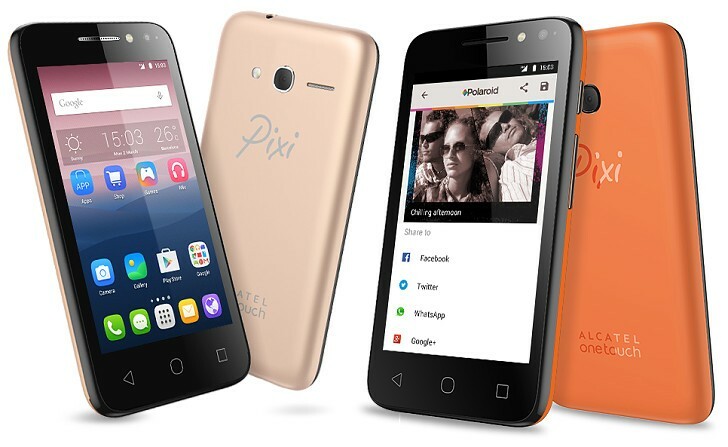 Alcatel Pixi 4 (4) has a 4" WVGA display and ticks on the MT6580M chip with a quad-core 1.3GHz Cortex-A7 processor and 512MB/1GB RAM depending on the choice of storage - either 4GB or 8GB, both expandable. The camera department is also different - 2MP rear and 0.3MP front or 5MP rear and 2MP front lens depending on the model. All Pixi 4 (4) run on Android 6.0 Marshmallow. 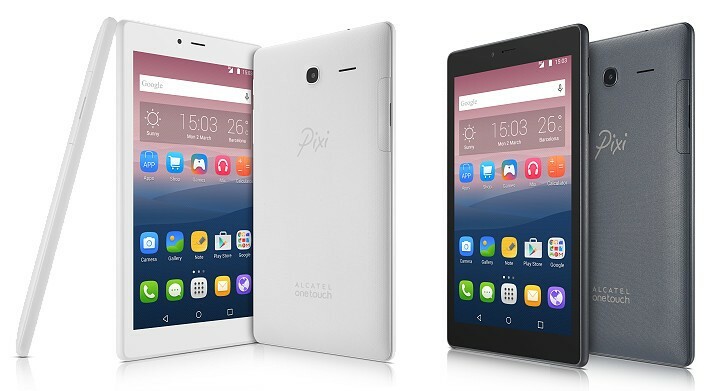 The Alcatel Pixi 4 (6) is a 6" phablet with a 720p IPS display and Snapdragon 210 chip (4x Cortex-A7 at 1.1GHz, 1GB RAM). It offers 8GB expandable storage, 8MP rear camera, a 5MP selfie snapper, LTe connectivity, and a 2,580 mAh battery. The Pixi 4 (6) opens on Android 6.0 Marshmallow out of the box. Finally, the Alcatel Pixi (7) offers a 7" display of 1024 x 600 pixels and runs on MT8321 chip with a quad-core 1.1GHz Cortex-A7 processor and 1GB of RAM. The slate comes with 8GB expandable storage, a 2,580 mAh battery, supports GSM and 3G networks, and can snap 2MP stills with its rear camera or 0.3MP selfies. Android 6.0 Marshmallow loads right out the box. 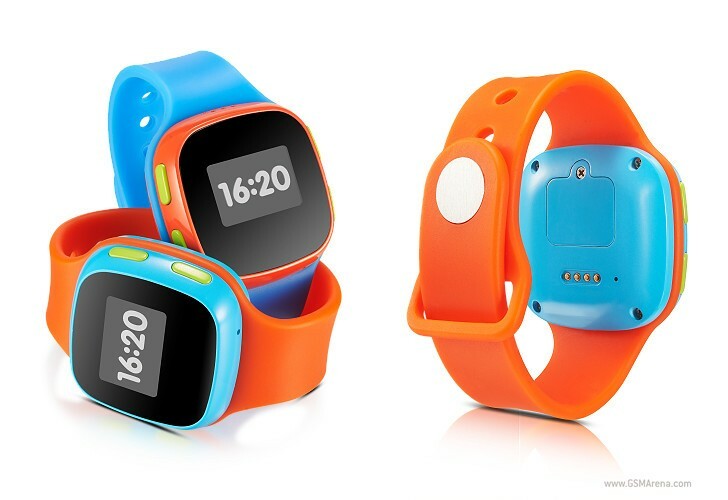 Alcatel is bringing one more gadget to the CES expo - the CareTime Children's Watch. It's a kid's watch with a small 0.95" OLED display (96x64) and its main purpose is GPS tracking. The kids would also be able to make calls or send messages to a list of predefined contacts. Alcatel promises 4 days of battery life on standby. All of these devices will be available to the public on January 6. We'll try to give you a sneak peek during our time in Las Vegas. https://www.youtube.com/watch?v=miiZ_5wpwgg Here is a hands on video. To cut the price you have to cut the corners. Those are horrendous specs. Who are they selling these to?